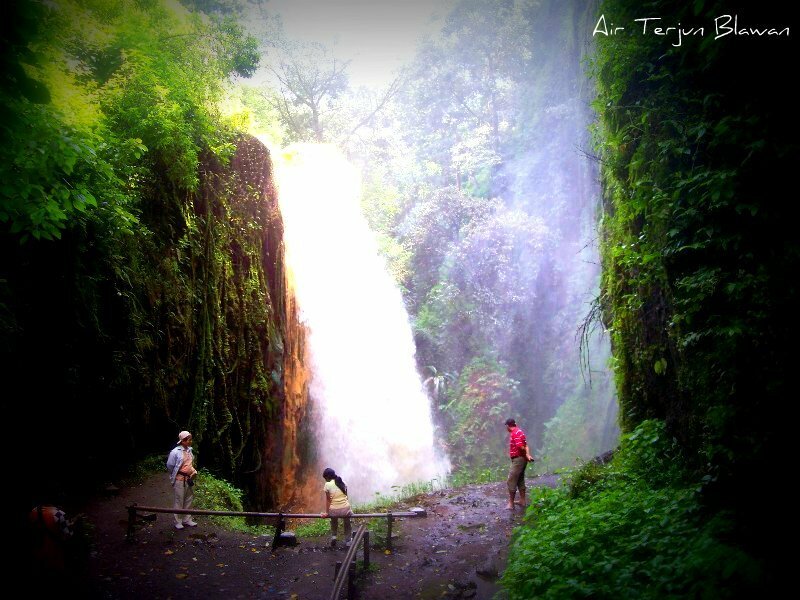 It is located in Bondowoso region, close to Catimore Homestay about 1 hour drive from Kawah Ijen base. Blawan area has acid waterfall and natural hot spring which came from acid water lake of Kawah Ijen. As there is no public transport to get there from Banyuwangi, the only way is hire a private car and driver. The best time to get there is after hiking Kawah Ijen, 1 hour drive to Blawan and relax on the hotspring after very exhausted hike. Enjoy a cup of Arabica Coffee, just buy one to the small coffee shop close by the hot spring. 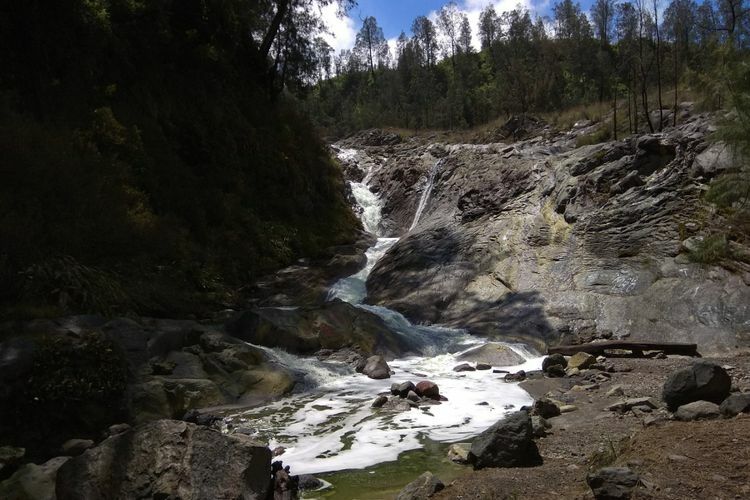 The waterfall itself located just few meters walk from the hotspring, its water is yellow and acid because it is coming from the water lake at Kawah Ijen. Kampung Osing Inn has a complete package which include Room + Kawah Ijen Tour + Visit Blawan Hot Spring, it is cheaper and hassle free by booking the package. It is located 2 km away from Paltuding post on the same way to get to Blawan Waterfall, the water is greeny and acid. The river is flowing from Kawah Ijen lake and going trough the villagers nearby, few years ago the acid level of the river was highly increasing which caused some problems for the villagers as the river used by locals for daily needs such washing, irrigation, etc. If you are lucky you can meet with black panther drinking the water river. There is a certain spot to see very good sunrise at the top of Kawah Ijen, not many tourists and tour guides know about this spot. The view also would be depend on the weather condition, if you book our tour package for Kawah Ijen our tour guide will show you where to see and enjoy the beautiful sunrise. Located hidden in the remote area surrounded by coffee trees, it is a processing unit that is not open for public visit. We could bring you to visit the processing unit to give you a whole idea about how sulfur will be transported and processed. 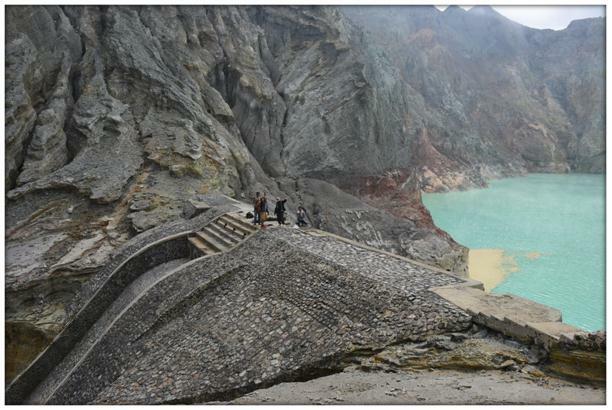 This is the most amazing spot ever in Kawah Ijen, also the hardest one. There was no certain path, we go further in to the forest to find a way. It was a limited access spot, only volcanologies have a regular access to get here. HAVE A QUESTION ? LET'S TALK..! !